Ancestry Library Edition by ancestry.com provides access to more than one and a half billion names in over 4000 databases, including census data, vital records, directories, photos, and more. Ancestry Library Edition’s Learning Center gives beginning researches a place to start, including news about ancestery.com’s newest content and features, research tips, research guides, translation help, and the “5-Minute Finds” video series, and more. 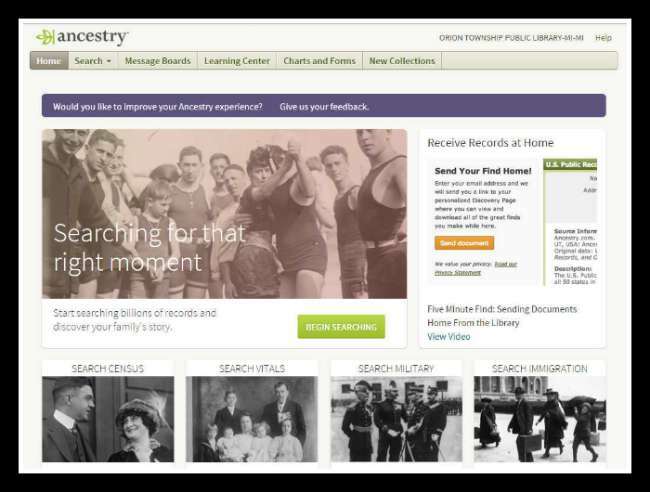 Ready to start using Ancestry Library Edition?